Looks like people who don't want to work or invest to earn a living have done 'something' to this young lady. 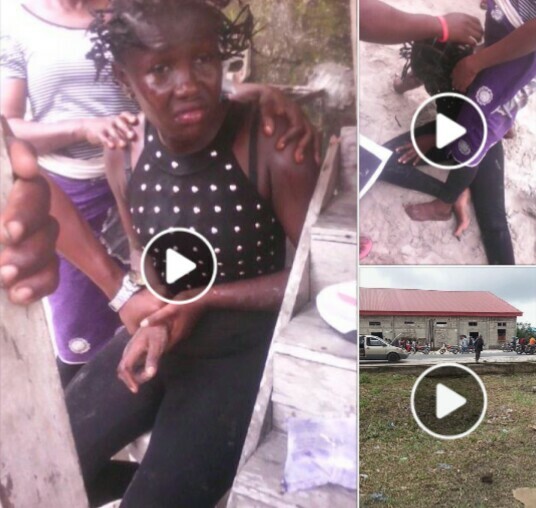 She allegedly ran mad in Ughelli, Delta State yesterday after she was dropped from a Toyota Camry. "It happen in ughelli dis morning....... She run mad immediately she was drop by a toyota camery. Pls girls be warned the street is not friendly"
This is coming days after another lady allegedly stripped and ran mad at the Abkpa area of Enugu, on Tuesday, as she was dropped at Texaco filling station. Sigh!